Our founder, nationally recognized Ohio OVI attorney Tim Huey has spent 3 decades gaining specialized training related to all types of evidence the prosecutor will try to use against you in an OVI case. Mr. Huey has gained so much knowledge about OVI evidence that he is often asked to teach seminars for lawyers on field sobriety tests, breath alcohol tests, blood alcohol tests, urine alcohol tests and the Drug Recognition Expert – DRE Evidence. 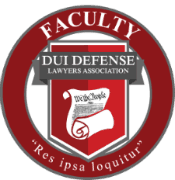 Indeed Mr. Huey has written numerous published articles on these topics and covers these topics in his book for lawyers: Ohio OVI Defense – The Law & Practice. What will this mean for your case? Mr. Huey knows that the prosecutor will claim innocent statements are admissions of guilt. Nervousness actions will be called signs of impairment. If you decline to answer or take a test you are hiding something. If you take a blood or urine test, they will look for legal drugs and claim they impaired you and they are allowed to use evidence of prior use of marijuana as proof of being guilty even if you are stone cold sober. If you take a breath test, and test under the limit, they can legally try to keep the jury from learning about that. If you test over the limit they will try to keep your lawyer from even questioning the results. Worse yet, the courts tend to side with them. Ohio appellate case law related to OVI tends to favor the prosecution and greatly hamper the defense, especially case law related to chemical testing. Just because you were charged with OVI does not mean you will be convicted. But please do not take this charge lightly. You may think you were “fine” but if the officer charged you with OVI you can bet that the report he wrote does not say that. And his testimony will follow his report. 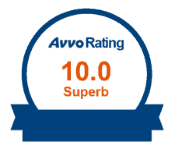 The good news is that we have a great deal of experience dealing with all types of evidence used in OVI cases. We know how to show that the officer is not a neutral witness. Typically, prosecutors claim that the officers are highly trained and know a great deal about typical OVI evidence like Standardized Field Sobriety Tests and Breath Alcohol Tests. Truthfully, it is extremely rare that an officer has studied these tests half as much as we have. There is no police officer in the state of Ohio who knows nearly as much about breath testing as Mr. Huey. Indeed, these transcripts show that the head of the Ohio Breath Testing Program does not know as much about breath testing as Mr. Huey. To take on this type of “evidence”, your lawyer must have specialized training on all types of OVI evidence and must have experience using that training to cross examine OVI trained officers. An OVI is not a “simple” case – it’s quite the opposite. The evidence in an OVI case can be some of the most complex and specialized evidence as compared to any other criminal case, and you need a lawyer that has experience understanding that complex evidence. 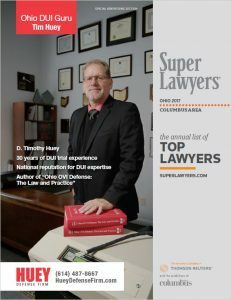 No lawyer in Ohio has more specialized OVI training than Tim Huey. That knowledge and his decades of experience will be your greatest asset. If you click on the links above you can learn more about specific types of OVI evidence. Failing to use a turn signal 100 feet before turning, failing to turn curb lane to curb lane, stopping your vehicle inches beyond the stop bar or sign and driving on or over the fog line are common infractions used to begin an OVI investigation. Here too we find that officer don’t always know the law – it is not illegal to drive on the fog line, lane dividing line or center line— you must go over the line to have an infraction. On many occasions a thorough review of the officer’s report and video and directed cross-examination of the officer have helped us obtain a dismissal of an OVI case. If the driving infraction is not an indicator of impairment it can help unravel the prosecutor’s case and may lead to a dismissals or favorable resolutions. If NHTSA lists the infraction as a possible clue, then we need to be prepared for that. In reality many of the infractions are committed everyday by sober drivers. Admission to drinking or being at a drinking establishment. Alleged difficulty carrying on a conversation with the officer. 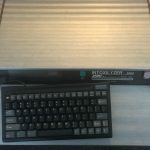 Quickly or slowly producing the required documents (license, registration, insurance). Allegedly using vehicle for balance or unsteadiness on your feet. In regard to “admissions” it is sort of a “dammed if you” and “dammed if you don’t” situation. If you honestly admit to four beers (over several hours) you almost certainly will be arrested even if there is not actual evidence of impairment. However, we can often get the jury to focus –as the law says they should- on the evidence and lack of evidence of impairment. We also find that many of these other “signs” listed above are overblown. Moreover, the officers rarely ever include all the things you did well, that do not point to impairment. Mr. Huey, through his experience and knowledge, knows how to focus his attention on all the facts and circumstances of the encounter to show the prosecutor and judges all the facts of the case, including those facts that do not show impairment. We know officers only focus on the observations the officer makes that support his theory of impairment. We say these are “in the eye of the beholder” and focus on actions the officers ignore that are consistent with sobriety. If you think you did well on the field sobriety tests you are probably in for a pretty big surprise. They grade you on things you are not aware of. If you did not do well because of injury, age, weight or other factors, the officer will not take that into consideration. Everyone who takes these tests are graded on the same scale which treats you as if you are young, heathy and well-coordinated. Will the judge or jury believe him and convict you? In part that depends on how knowledgeable and prepared your lawyer is. An experienced OVI trial attorney should have substantial training in what is called the NHTSA Standardized Field Sobriety Test protocol. At minimum that means he will have taken the same SFST Basic Training Course that the officers take. All of our attorneys have taken this course at least once. Mr. Huey has helped teach such courses. 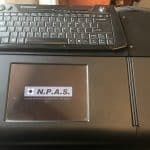 NHTSA conducted studies in coming up with these SFST battery of tests which are the Horizontal Gaze Nystagmus (HGN) Test, the Walk and Turn (WAT) Test and the One Leg Stand (OLS) Test and produced NHTSA SFST Manuals that the officers are required to follow. According to the most current NHTSA manual these tests are practically infallible, however there is information in previous NHTSA manuals that help show they are not. A smart attorney will have the manuals from 1983, 1984, 1987, 1992, 1995, 2000, 2002, 2004, 2006, 2013 and 2015 as a part of his arsenal. These manuals below NHTSA studies are so critical to DUI defense that they are included on a disc that is included with Mr. Huey’s book Ohio OVI Defense:The Law and Practice, chapter 9. The most important NHTSA SFST studies are 1977 SFST Psychophysical Tests for DWI Arrests; 1981 Development & Field Test of Psychophysical Tests for DWI Arrests; 1983 Field Evaluation of a Behavioral Test Battery for DWI; 1995 A Colorado Validation Study of the Standardized Field Sobriety Test (SFST) Battery; 1998 A Florida Validation Study of the Standardized Field Sobriety Test (S.F.S.T.) Battery; 1998 Validation of the Standardized Field Sobriety Test Battery at BACs Below .10 Percent. There are more recent NHTSA studies that prosecutors do not want juries to know about. One of those is a study titled the Robustness of the Horizontal Gaze Nystagmus Test (2007) which can be used to show that the HGN test is not nearly reliable as the current NHTSA SFST manual leads us to believe. 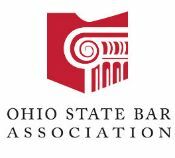 In Ohio, in addition to having all the above materials, experienced lawyers should learn as much as they can about Ohio Police Officer OVI training. All Ohio law enforcement officers are required to go through training approved by the Ohio Peace Officers Training Academy (OPOTA). The OPOTA curriculum includes a section typically referred to as ADAP, which stands for Advanced Detection, Apprehension, and Prosecution of persons under the influence of alcohol and drugs. 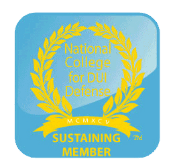 Officers assigned to DUI task forces or whose duties focus on DUI arrests can take an Advanced ADAP course and an ARIDE Course. ARIDE stands for Advanced Roadside Impaired Driving Enforcement. Columbus Police Department DUI officers get ARIDE training and drug related driving training in a course it calls DICE training. DICE stands for Driving Impaired Criminal Enforcement. Separate from all the above is Drug Enforcement Recognition (DRE) Training. If the arresting officer is claiming that you were under the influence of drugs, including legal prescription or over the counter medications, your lawyer simply must be fully trained about Drug Recognition Experts. Drug recognition tests are (for Ohio, at least) a newly-emerging series of tests that are used to determine if drugs, rather than alcohol, are leading to impairment. These roadside, pre-arrest tests are not standardized and, in fact, are not even designed to determine if you are impaired by drugs. Rather, these tests are only designed to help an officer determine if they should call in DRE officers for a more detailed drug-impairment investigation. These tests are used by officers to help them determine whether to arrest you. These tests are not standardized and are scientifically questionable, yet many officers still (over)rely on these tests when deciding whether to arrest. These tests are sometimes given in addition to the standardized tests to try to get more evidence against you. The two main tests are the lack of convergence test and the modified Rhomberg test. During the lack of convergence test, the officer will have you follow a pen as he circles it in front of your face and moves it closer to you. The officer is looking for whether the eyes converge, which is supposedly a sign of impairment (and also a sign of numerous other conditions or circumstances which have no relation to impairment.) The other test is called the modified Rhomberg test, where the officer will have you lean back, close your eyes, and count to 30 seconds. This test is supposed to help identify if your internal clock is slow or fast, which could be an indicator of drug use. Although officers will attempt to use these tests against you, a skilled attorney like Mr. Huey can demonstrate just how little the average officer knows about these tests and the (lack of) science behind them. Because these tests are not standardized, there is no way to know if you have “passed” them and what weight, if any, to give your performance on these. In addition, even though these are tests to look for clues of drug impairment, many officers also give them in alcohol DUI tests. You need a vigilant attorney who understands these tests better than the officers in order to ensure that your performance on these tests does not become strong evidence against you. DRE training is relatively new to Ohio. It is solely designed to produce evidence to be used against you. It has no other purpose. DRE officers are supposed to be brought in after you have been arrested. They are not there to conduct a neutral evaluation of whether you are impaired. The DRE is brought in because the arresting officer believes you are under the influence of drugs, including legal medications. You have every right to decline to talk to or be examined by the DRE or anyone. You would be wise to do so. Once an officer has decided to arrest you everything that happens after that – in terms of questioning, examination and testing – is done to try to make their case better. For the most part the evidence from a DRE will consist of his “opinion” that you are under the influence of a certain category drug or multiple categories of drugs. This “evidence” is truly voodoo and “junk science” and the DRE protocol is not supported by the medical community. However, DRE officers are often well trained on how to make this evidence sound very scientific. Often the DRE will be a “true believer” and will be convinced that he knows more that doctors and that his opinion should count more than an actual chemical test. They are literally trained to believe that. Some DRE trained officers or officers who have received a little knowledge related to the DRE protocol, particularly officers, who have ARIDE training. Will use this as a part of a roadside investigation. When officers use DRE or ARIDE training at the road side they will typically use two “tests” that even they will have to admit have not been “validated.” These tests are the Lack of Convergence test and the Modified Romberg test. These tests mean nothing but if you pass field sobriety tests they may point to the results of these tests. It is essential that your Ohio OVI lawyer know all of the training the officer in your case has obtained and be familiar with the materials provided in that training. Knowing the officer’s training and having all his training manuals and studies gives your lawyer the ammunition needed to show that the tests are designed for failure. The best results are obtained when the judge and jury realize that the defense lawyer know more about the officer’s “tests” than the officer. PBT tests cannot be used against you at trial. However, prosecutors will try to use the results to support the officer’s arrest decision. Whether your judge will let PBT evidence in depends on what appellate jurisdiction your case is in and whether your attorney is properly prepared to make the right challenges. At minimum an OVI attorney should be familiar with all the leading cases on PBT admissibility. 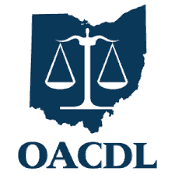 For more information on the case law see Ohio OVI Defense: The Law and Practice, chapter 11.2. PBT admissibility is a cutting-edge issue, all PBT test results should be vigorously challenged by competent OVI lawyers who truly understand the issues involved and how to properly challenge their reliability. In addition to being scientifically questionable, PBTs are a search and under the Fourth Amendment to the US Constitution you cannot be compelled to consent to such a search in any fashion—but few Ohio courts understand this. The Ohio Supreme Court has yet to fully consider the admissibility of PBTs. Mr. Huey appeared before that court in 2009 in a case called State v. Derov 121 Ohio St.3d 269, 2009-Ohio-1111 where one of the issues was PBT admissibility. Ms. Derov’s conviction had been reversed because the trial court had allowed the PBT results to be used against her. Ultimately, the Supreme Court let the reversal stand and Ms. Derov went free, but it did not decide the PBT issue. 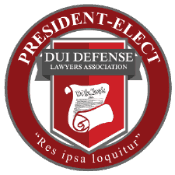 Attorney Tim Huey argued the Derov case as Amicus Counsel for the Ohio Association of Criminal Defense Lawyers (OACDL). Anyone wishing to challenge PBT test results should read the Amicus brief and watch Mr. Huey’s oral argument. If you submitted to a PBT the results should be vigorously challenged. You should have a good chance of success if your attorney is well prepared. Eliminating the PBT will weaken their case and could result in a dismissal. 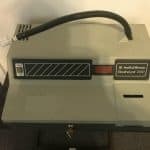 Evidentiary Breath Testing machines are the main source of breath testing on Ohio. They are stationary machines in the patrol or police station. The machines produce the “official” result which will be used to try and convict you at trial. The admissibility and perceived accuracy of that result will likely be a make-or-break issue for your case. Many Ohio lawyers will say that because of a horrible case named State v. Vega, discussed below, it is impossible to win a breath test case in Ohio. This is not true. Attorney Tim Huey has won many breath alcohol test cases including one that was almost 3 times the legal limit. State v. Vega is a horrible case and does make defending against a breath test more difficult. But they can be won. The secret to Mr. Huey’s success is knowing how the breath machines really work. We own several of them. We know how to get around State v. Vega to get the truth about breath testing before the jury. Our office calls this Vega Judo. If you would like to read a very thorough analysis of State v. Vega and all matters related to it, you’ll want to read Chapter 6 of Mr. Huey’s book, Ohio OVI Defense: The Law and Practice. Three things go into Vega Judo. The most important component is experience. If you have never had a match or practiced judo, you are not likely to win the first time you try. While it is true that Vega is a horrible case, it is not true that you cannot win a breath test case. To win a breath test case a lawyer needs to: truly understand the case law and really needs to understand how breath testing devices work (which requires significant additional training). Experience is also very important. You probably will not be a great baseball player or win a judo match if you have never done it before. And very few Ohio lawyers have ever tried to take on a breath test result before a jury — very few. Mr. Huey has invested a great deal of time and money obtaining additional training and expertise almost no other lawyer has obtained about breath testing, including factory training on the BAC DataMaster, additional training on the Intoxilyzer 5000, Intoxilyzer 8000 and Intoxilyzer 9000, and the new DataMaster DMT. There are literally only a handful of lawyers in Ohio who know enough about evidentiary breath alcohol testing devices to even consider taking on a breath test result at trial. A simple litmus test – ask the lawyer if he or she has ever gone to trial on a breath test case. Your lawyer knows enough about breath tests and breath testing that he or she can convince the jurors that the result in you case is not accurate and reliable. Mr. Huey has been involved in the leading Ohio cases challenging Ohio’s Breath machines. Some of those cases are Cincinnati v. Ilg, State v. Gerome and State v. Lancaster. In Mr. Huey’s book there are several transcripts showing lawyers techniques for taking on the breath test at trial and at motion hearings. It is impossible to boil down the information contained in several hundred pages here with any justice but below are some basic facts about the breath testing devices used in Ohio. The machines used in Ohio are not Breathalyzers even though many lawyers and judges call them that. Breathalyzer is a brand name for a specific breath testing device. Ohio officers do not and have never used Breathalyzer machines. If a lawyer or judge uses that term they know nothing about breath testing. Ohio only uses different models of two other brands of devices: the BAC DataMaster and the Intoxilyzer. 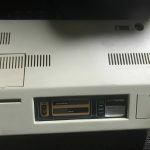 Most BAC DataMasters used in Ohio are practically ancient, they were designed almost 30 years ago and have not been significantly updated and most of the machines are 15-20 years old. The newest device used in Ohio is the Intoxilyzer 8000 and Ohio paid millions of dollars to obtain one for every agency, but most agencies do not use them because lawyers successfully challenged them. New machines are scheduled to be approved as soon as May 2019. These machines will be newer versions of the DataMaster (now sold to a new company called Intoximeter) and the Intoxilyzer. It is not an exaggeration to assert that OVI attorney Tim Huey led the charge in successfully challenging breath testing devices in Ohio. If you google Intoxilyzer 8000 and Huey you will find numerous news stories articles about these challenges. Here is one article Judge Rules Breath Alcohol Machine Unscientific – Court Cases in Jeopardy. Mr. Huey has also had success challenging the results of the BAC DataMaster. Mr. Huey has attended factory training on this machine a number of times. 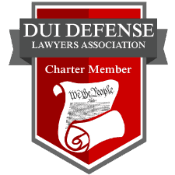 Read about that training here Our Expertise Mr. Huey was the first Ohio lawyer to buy his own DataMaster and only a few Ohio lawyers ever have. 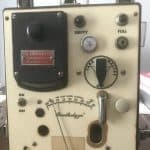 Attorney Tim Huey’s knowledge of the BAC DataMaster breath testing instrument is so extensive judges and juries typically remark after a hearing or trial that he knew more about the breath machine than the police officer or the state’s experts. As a result of Mr. Huey’s cross-examination the head of the state’s breath test program was held not to be an expert on the BAC DataMaster in two separate cases leading to Not Guilty verdicts for the clients. 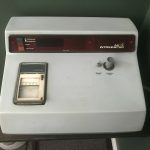 As Ohio’s current breath testing devices are either viewed with great suspicion even by judges (the Intoxilyzer 8000) or as extremely old (the BAC DataMaster) the Ohio Department of Health is in the process of approving two new machines – the Intoxilyzer 9000 and the Intoximeter DMT. The later was originally sold as a DataMaster DMT and, ironically, Ohio did not approve its use. 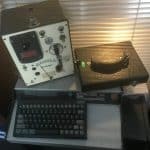 The Huey Defense firm is way ahead of them – Mr. Huey already owns an Intoximeter / DataMaster DMT device. Only two such devices are owned by non-police owners, Breath Expert Dr. Alfred Staubus owns the other. Infrared light passes through the machine and the machine analyzes the strength of the light coming out the other side. 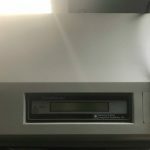 Since alcohol will absorb some of the light, the machine reports how much alcohol is in the breath based upon reduction in strength of the light hitting the detector. Of course, no machine is perfect and other chemicals can sometimes interfere with the machine and falsely register alcohol. For example, certain chemicals in diabetic patient’s breath can interfere with the machine. We are frequently seeing breath tests apparently affected by chemicals or solvents commonly used in workplaces. For example, work environments of hairdressers, painters, and other mechanical workers regularly expose such people to workplace chemicals. Please refer to Mr. Huey’s book Ohio OVI Defense: The Law and Practice, for more information on the scientific pitfalls of breath testing. It is also important to understand that these breath machines do not actually measure your Blood Alcohol Level (BAC). Instead, they measure your Breath Alcohol level (BrAC). This distinction is important because the machines are designed to convert your BrAC into a BAC using a standardized ratio. In other words, for every 1 particle of alcohol in your breath, the machine assumes that there are 2100 particles of alcohol in your blood. This ratio is not supportable even as an average. Moreover, your ratio could be extremely higher or lower than the assumed ratio. In addition, there are other common issues with breath machines, most important being the age of the machines. As noted above, many machines still in use across the state were manufactured in the 1990s and are still in service today. In addition, certain types of machines are much less reliable than others. These breath machines were never meant to serve as standalone evidence of guilt and Mr. Huey got the manufacturer of one BAC DataMaster to admit that. 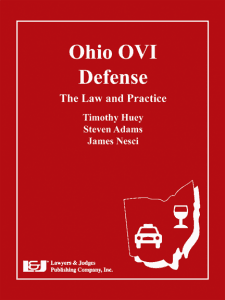 See Chapter 9 of Ohio OVI Defense: The Law and Practice. However, Ohio’s per se breath charge is based entirely on the “results” of this single breath test and can be used to convict you, even in light of all the shoddy science behind the test. Even with all the issues behind breath machines, in Ohio, the Legislature and Courts have made challenging breath tests in Ohio are extraordinarily difficult by attempting to place the general reliability of the breath machines beyond challenge. The main case on this subject is called State v. Vega, which can present an obstacle to many breath test challenges. However, Tim Huey was never satisfied that the shoddy science behind these breath machines can never be challenged. He has personally led the legal fight in Ohio to circumvent these restrictions on challenging breath results. As a result of his advocacy and legal attacks on these machines, Mr. Huey has developed what he calls “Vega judo” to find several ways around these prohibitions to challenge the results of these tests, using his deep knowledge of the law and the science behind them to evade the legal prohibitions. Mr. Huey and his team of experts understand these machines better than most of the experts in the state, and will expound every legal avenue to challenge these results. In general, having a positive breath test which exceeds the per se limit of .08 makes any OVI case more difficult. This is primarily due to the fact that you can be convicted of OVI, even if you are not impaired, if the test result is .08 or greater. You should take great care prior to deciding to submit to a breath test. Blood tests, while much rarer than breath tests, are still a method of determining your BAC level. Generally, if a chemical test is involved, Mr. Huey prefers working with blood tests due to the science involved. With blood tests, a laboratory technician will have to analyzes the blood sample with a gas chromatograph, which identifies the alcohol particles in your blood. Unlike breath tests, blood tests cases require the presence of the scientist or laboratory agent in order to explain the results, which allows for vigorous review. Mr. Huey has studied in great detail the science behind these blood tests and will be able to review every aspect of the test to ensure proper accuracy and procedure. Because of the intrusive nature of blood tests, the police cannot take blood unless you consent to the blood being drawn or they get a warrant. Ohio law also authorizes urine tests to check for alcohol or evidence of drug use. Urine tests have many issues because the tests are not actually measuring the active concentration of any substance in your blood. Rather, it just involves testing your body’s waste to check if any of the substances are present in the waste. Ohio laws pretend like they are taking that into account, by creating a specific per se level of alcohol that they claim is equivalent to a .08 in the blood or breath; however, there is little to no science to support that and urine tests remain problematic. Before you consent to take a urine test, think very hard about the possible substances that could be in your urine. Because of the unique nature of how many substances, especially marijuana, are flushed from the system, a urine test can show remnants of drugs or other chemicals for days or weeks after consumption, which can really complicate your case. Take great caution before consenting to a urine test.